상기 이미지는 각각의 B,G,R이미지를 JNO_ARM 소프트웨어로 머지한 이미지입니다. Aspergillus fumigatus germlings loaded with a synthetic cell membrane counterstain TMR-PAF96 (amber) and treated with fluorescent BODIPYcPAF26 anti-fungal peptide (cyan) to determine peptide’s localisation and mode of entry into the pathogen. 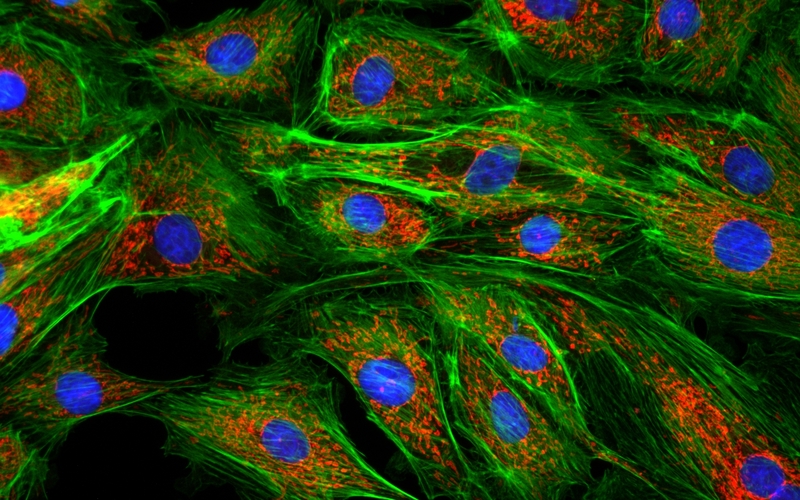 Neurospora crassa hyphal filaments treated with fluorescently labelled siRNA (amber) to determine its localisation, with respect to nuclei (blue) and the fungal cell wall and septa (cyan). 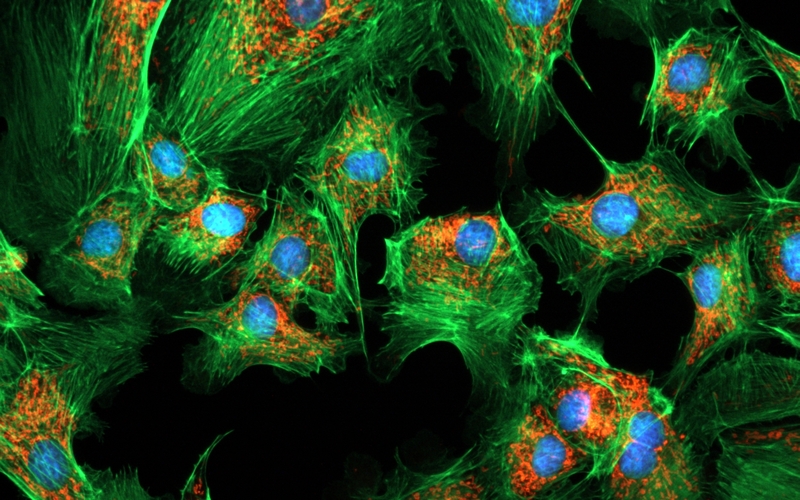 Live HeLa cells stained with lysosome marker imaged with Nanolive’s holotomographic technology. 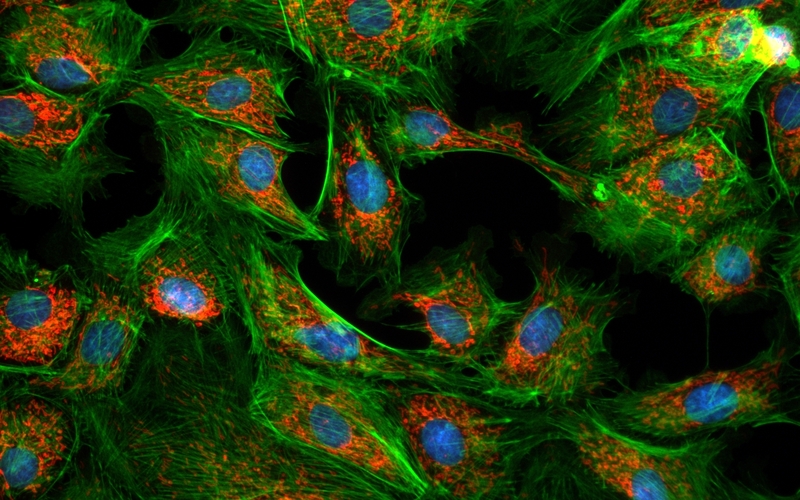 Fixed HeLa cells stained with Antibody for cytoskeleton (green), mitochondria (orange) and nuclear membrane(red). The whole cell was also imaged with Nanolive’s holotomographic technology and the four images were overlapped to create the overlay.